General Manager Craig Camp and owners Denise and Bryan White could see the potential at Troon Vineyard in the Applegate Valley in southwestern Oregon. In a career-long involvement with all aspects of wine, Craig had become convinced of the value of biodynamics to produce superior wines showing their place of origin. When Craig, Denise and Bryan took over the operation at Troon in 2017, they decided to take the vineyard into biodynamic certification, but with a twist. They are pursuing full Demeter certification, and they are applying modern scientific methods to understand the changes in the vineyard as they move from Live Certified sustainable to certified organic and biodynamic operation. 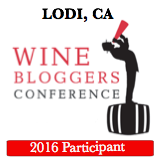 Craig has been documenting the process in his Wine Camp blog. Highly recommended for more in depth reading and to keep up with progress at the vineyard! Early in 2018, they began work in earnest with a biodynamic consultant. They started with assessments of the property, including electromagnetic surveys and a series of some 70 pits dug for soil samples. They’ll use this information to guide which varieties they’ll plant in new blocks and also to better manage their existing vineyard blocks. In addition to the soil samples and site surveys, Troon has engaged a company which performs DNA analysis on samples. They have started with various samples around the property as a baseline and will regularly monitor the microbiologic complexity as the land is transformed through biodynamic farming. In addition, they are collecting samples of grapes at harvest and will sample the wines throughout fermentation to assess which yeast strains are most active in the naturally occurring fermentation process. The whole approach is to plant the right grapes in the right place so little intervention is required. This low intervention process is followed through vinification and aging to produce wines fit for the dinner table, with a sense of where they are from. Our first task was to walk out to the heart and soul of a biodynamic vineyard: the compost pile. Cow manure from the organic dairy next door is mixed with hay, cuttings, dropped grapes and other material from the property and allowed to ferment. Like any good compost pile, it smells clean and fresh once it gets going! Grape pomace, stems, seeds, clippings, dropped grapes all go into the compost pile. Harvest had started at Troon, so after our visit to the compost pile(s), we headed back to see the first fermentations in process. On the way back to the winery, we passed one of the oldest vineyard blocks. It’s planted to cabernet sauvignon, which actually isn’t all that well suited to the place.Still the majestic old vines will be kept. Planted in 1972, this vine’s career is longer than mine! We’re standing in the Troon red wine fermentation area. That’s right, native yeasts are king when you ferment outdoors! Not a single new barrel in the barrel room. No interest in new oak, only the benefits of older, used oak aging. After our tour, Craig treated us to a tasting out on the patio. If you visit, you can taste here too! With all this talk of biodynamics, compost, natural approaches, you might be concerned that the wines are funky. Not the case! Meticulous attention at every step in the process ensures these wines are pure and clean, reflecting the care in the viticulture and the cellar. Broadly speaking, I would characterize them as old world in approach, meant to be enjoyed with food. I’m particularly fond of the whole grape ferment (“orange”) riesling and their Cuvee Cot, a malbec wine closer in style to southwest France than Argentina. A pretty garden setting, with vineyards and mountains as a backdrop. As it was harvest season, I finished up my visit out in the vineyard to see the early morning vermentino harvest. In addition to all the other care in the vineyard, you can see the grapes are harvested by hand in small bins. Ever since I met Craig Camp at my first Wine Bloggers Conference, I have wanted to visit Troon. You don’t just stumble upon the Applegate Valley: 4 hours drive south from Willamette Valley, 6 hours drive north from San Francisco. On my way out to the 2018 Wine Bloggers Conference in Walla Walla, I took the opportunity to precede the conference with a grand tour of Oregon. I flew into Rogue Valley International, Medford Oregon Airport, a mere 30 minute drive from Troon Vineyard. While it’s out of the mainstream winery regions, Troon Vineyard in the Applegate Valley in southwest Oregon is well worth your attention. If you have the opportunity, you need to visit! If you’re not quite ready to make the hike yet, Troon has a tasting room up in Carlton in the Willamette Valley. Even if you’re not in Oregon anytime soon, you can give Troon Vineyard wines a try. They will happily ship some wines to you! One final note: if you happen to stay overnight in the Applegate Valley, go outside and enjoy the spectacle of a truly dark sky. The stars will grab you! Mark and I visited Troon last year for the first time. A rainy day precluded us from hoofing it around but we loved the wines… yes that whole grape ferment riesling! Someday, when (if) we occupy our Ashland house, I’ll be glad to drink their wines frequently! I need to make it there soon. Well worth it, plus you get to see all the “hemp” farms. I’m very excited to follow their progress over the next couple of years. They have a very committed team. Kris with a K and I are heading back to the Walla Walla area this spring and looking forward to a side trip to hit Troon. Not only am I fascinated with biodynamic growing but I also have a thing for orange wine. Thanks so much for the great post, Jeff, and the insane pics. You’ve really got a superb eye. Thanks Nancy! If you like orange wines, you might want to schedule a stop with Bill Hooper at Paetra in Eola-Amity Hills on your way out to Walla Walla. He also makes a very nice skin-fermented Riesling. very interesting and I enjoyed the details from the photos. I am so jealous. I want to visit so bad. I loved your perspective and photos. I did not realize there was an airport nearby. I am dining with Denise and Bryan Monday night, they are from the Dallas area. I am looking forward to finally meeting them. Now to get to Applegate Valley. Thanks for sharing, Jeff. Thanks Michelle. Please send my regards to Denise and Bryan, they were so welcoming! And they are very serious about the path they are on. I believe in biodynamics, and I am so impressed they are willing to invest in doing the science as well. I’m looking forward to going back. Thanks for this, Jeff. You’ve given us a front-row seat to all the work that goes into a bottle of Troon wine. Have you thought about submitting this article for publication somewhere? Thanks for the encouragement, Lauren. I haven’t seriously considered submissions for publication, but now you have me thinking….